Door handles for sauna door thickness of 8mm up to 40mm, available in a choice of 19mm and 25.4mm diameter handles, 300mm, 500mm and 700m lengths. Manufactured from 304 grade stainless steel and obeche wood. To fit 8mm-40mm glass doors. To fit 8mm-40mm wooden doors. 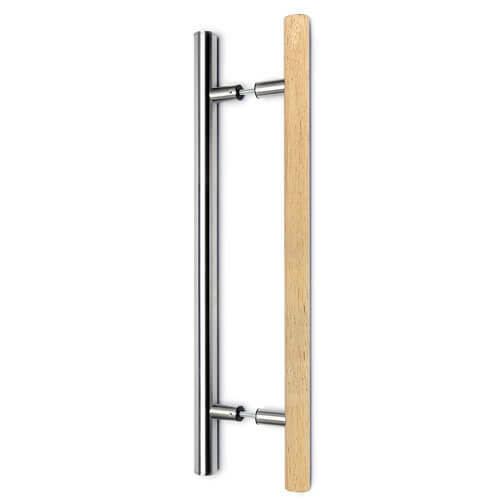 Stylish and hard-wearing door handle set for interior use on sauna doors. 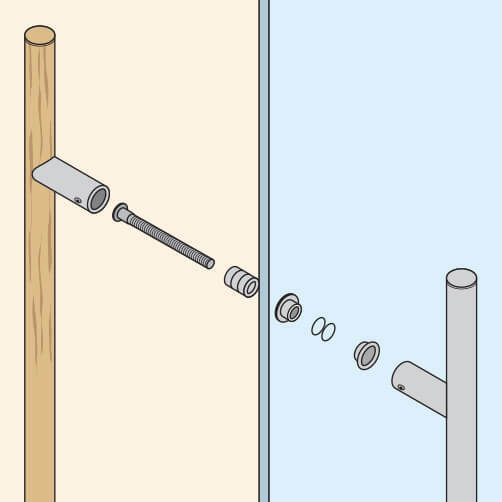 Wooden handle should be placed on the inside and the stainless steel handle on the outside of the sauna door. Available in a choice of 19mm or 25.4mm diameter handles. Manufactured from high quality 304 grade stainless steel with a satin finish and obeche wood. Can be used on 8mm - 40mm glass doors and solid wood doors. 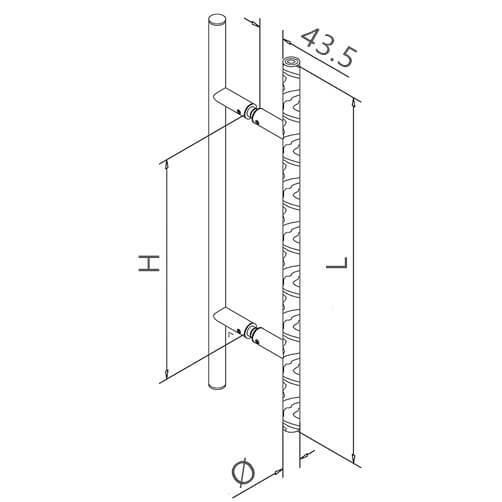 Doors will require two 14mm diameter holes for installation. Obeche wood is a hardwood native to central west Africa. 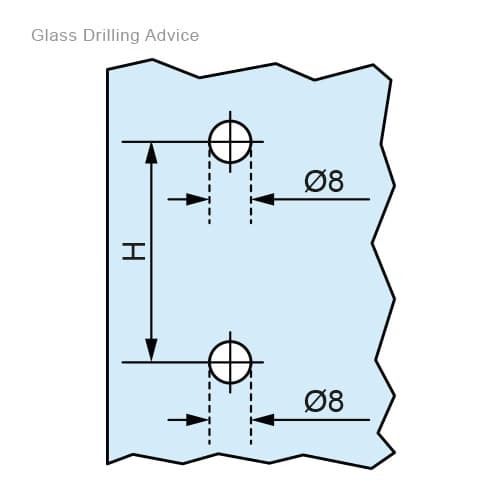 Glass doors will require professional drilling at manufacture stage to accept these door handles.